It’s been three years since we published our last ‘Child Friendly Fine Dining’ post in honour of the arrival of Prince George. Now with a sister, Princess Charlotte, to join him at the royal dinner table, we felt it time to address child friendly dining once more. 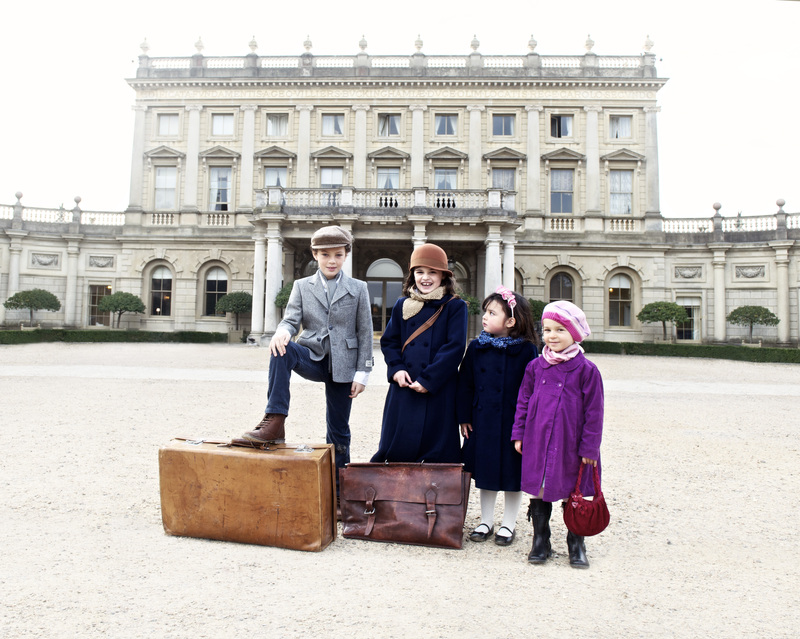 Here then (in time for half term) for those intrepid diners who refuse to take the pizza and pasta option just because they have their children in tow, we have some of the finest restaurants in London (and a few out of town) who will welcome your children with open arms! Make sure you scroll down to see some of the lovely images we’ve included. Sketch is a complex, unique and fascinating site – a destination place for food art and music which has been realised by Mourad ‘Momo’ Mazouz and his team of chefs and designers comprising two restaurants over two expansive floors of a converted 18th century building in Conduit Street. 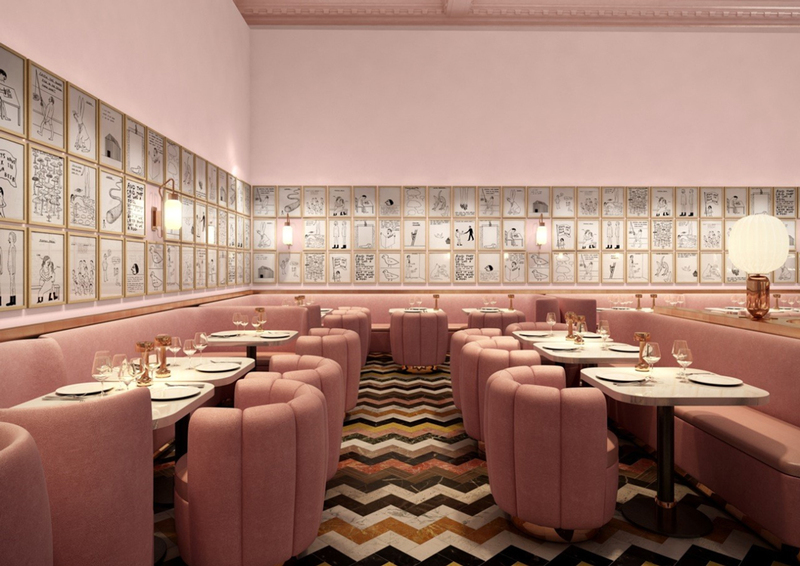 The Gallery is an homage to pink, currently playing host to artwork by David Shrigley. The Lecture and Library has two Michelin stars and is a spacious and relaxing room with menus devised by French Master Chef Pierre Gagnaire. Club Offer Available: Members dine complimentary when dining with one or more guests when having dinner Monday – Wednesday. Click here for details. Club Offer Available: Members dine complimentary when dining with one or more guests when having lunch Tuesday – Thursday. Click here for details. 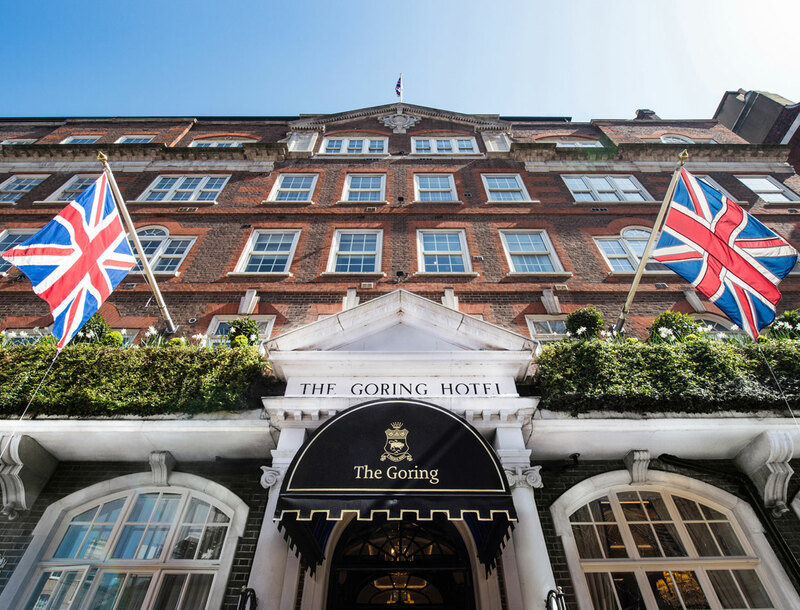 The Michelin award-winning Dining Room at The Goring combines Edwardian charm with contemporary style at the hands of Royal designer Linley. Lit by full length windows and Swarovski crystal chandeliers, the exceptional service and attention to detail will make this a royal dining experience for you and your children! Club Offer Available: Members and their guests receive a complimentary glass of Champagne when having lunch Sunday to Friday or dinner Sunday to Thursday. Click here for details. 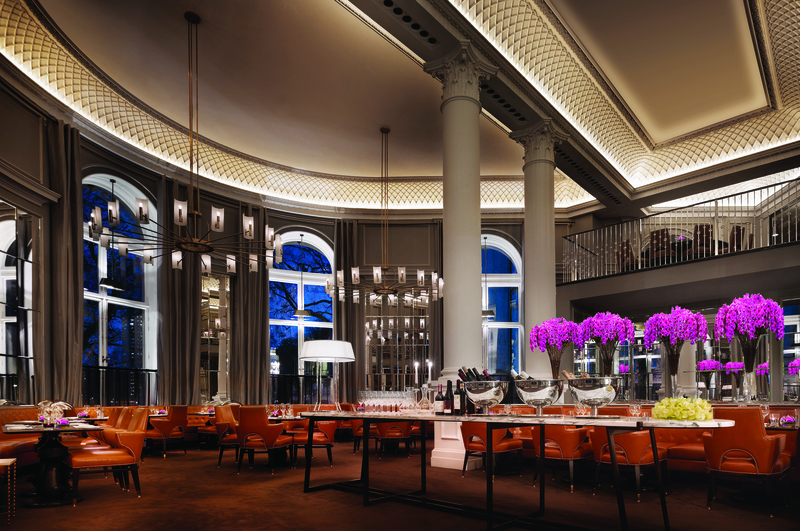 Garry Hollihead’s striking restaurant in the Corinthia Hotel is a gorgeous, light and airy affair, with huge windows stretching up to double-height ceilings, fabulous crystal chandeliers, studded leather chairs and vases of perfect flowers. The kitchen is dedicated to native produce and Hollihead’s fastidious sourcing is evident from plump Maldon oysters to melting slabs of Cumbrian steak and the all-British cheeseboard. Club offer available: Members and their guest receive a complimentary glass of Champagne when dining from the a la carte menu for lunch Monday to Saturday and dinner Monday to Sunday. Click here for more details. 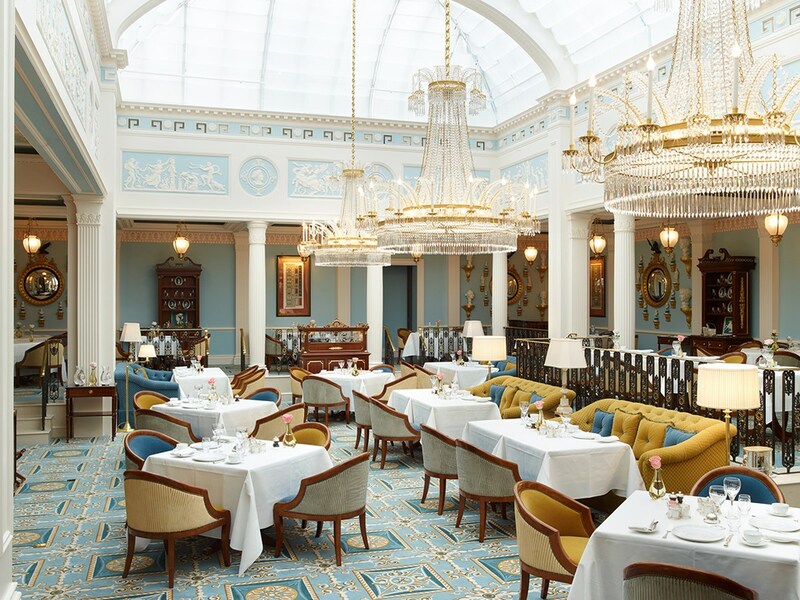 Dining at The Lanesborough is one of the greatest pleasure London has to offer – a richly decorated Venetian-style dining room illuminated by natural light via a domed glass roof. The cuisine is no less captivating, Chef patron at the Lanesborough Eric Frechon is one of Paris’ most esteemed three Michelin-starred chefs and he has brought his protégé, Florian Favario to London to lead the hotel into a new culinary era. And families are especially welcome! 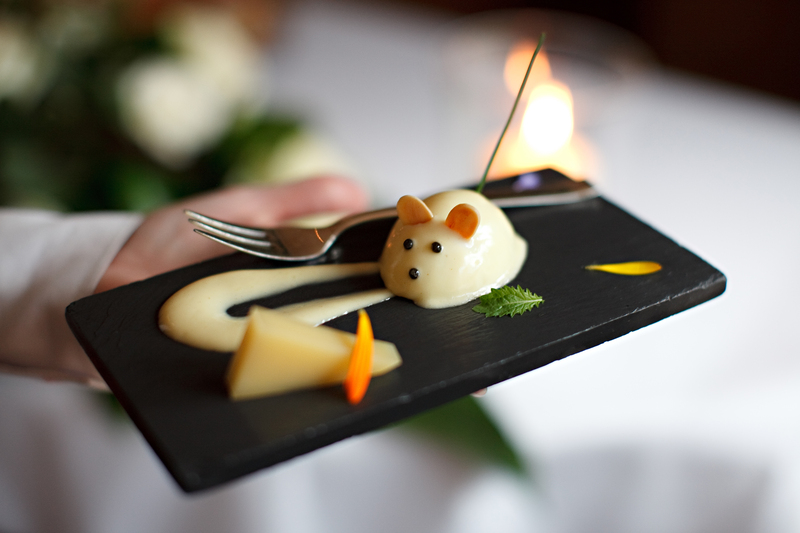 Sample childrens menu: The Chef prepares a bespoke menu for children daily. Club offer available: Members and their guests receive a complimentary glass of Champagne when enjoying breakfast, lunch or afternoon tea Monday to Friday and dinner Sunday to Thursday. Click here for more details. This well known restaurant is in the heart of Camden Passage’s antique quarter. 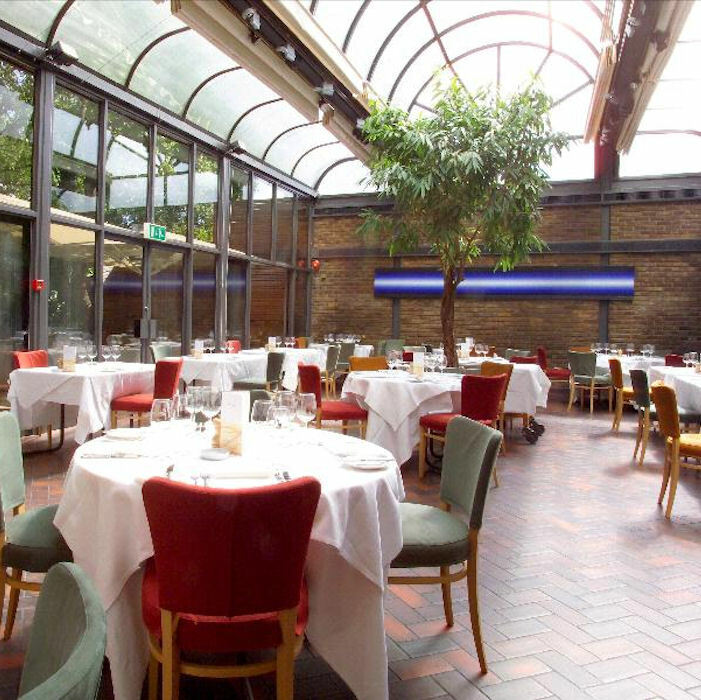 A family business trading for nearly 40 years, from the inside it has a spacious and vibrant restaurant with vaulted glass ceilings as well as a beautiful secluded summer garden. Club offer available: Members receive 20% off the total bill when dining from the a la carte menu for lunch Monday to Friday. Click here for details. High up on the 7th floor with amazing views over London’s skyline, The Roof Gardens are a spectacular way of getting away from the hustle and bustle. With gardens based on the Alhambra in Spain, Tudor courtyards and resident flamingos wandering free, your children will be amazed! And best of all its restaurant, Babylon, is child-friendly. Club offer available: Members receive a 15% reduction from the total food bill when having lunch Monday to Friday. Click here for more details. 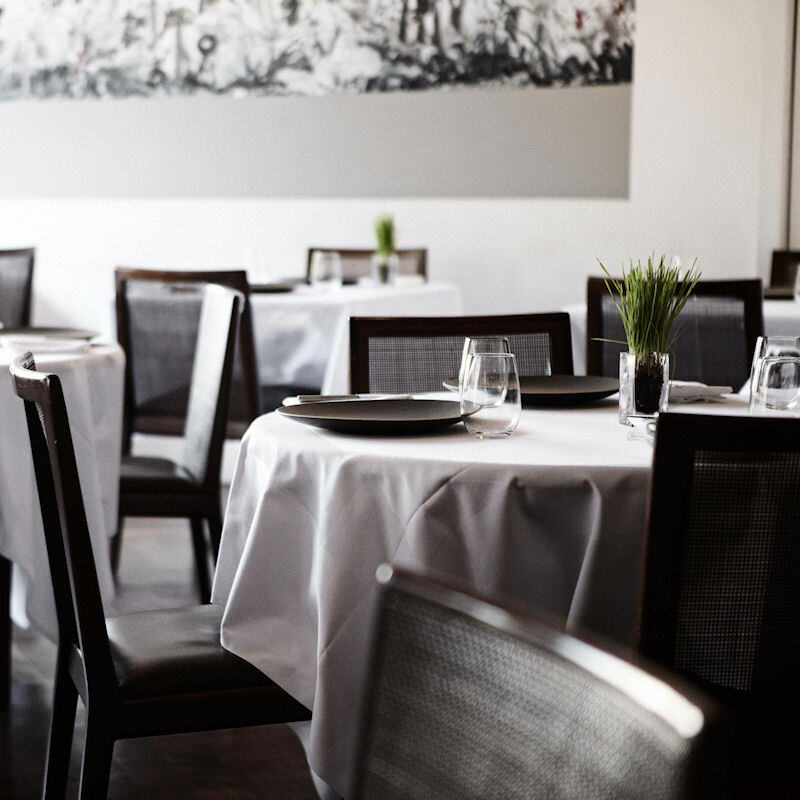 Trinity is owned by Chef Adam Byatt and situated in Clapham Old Town. 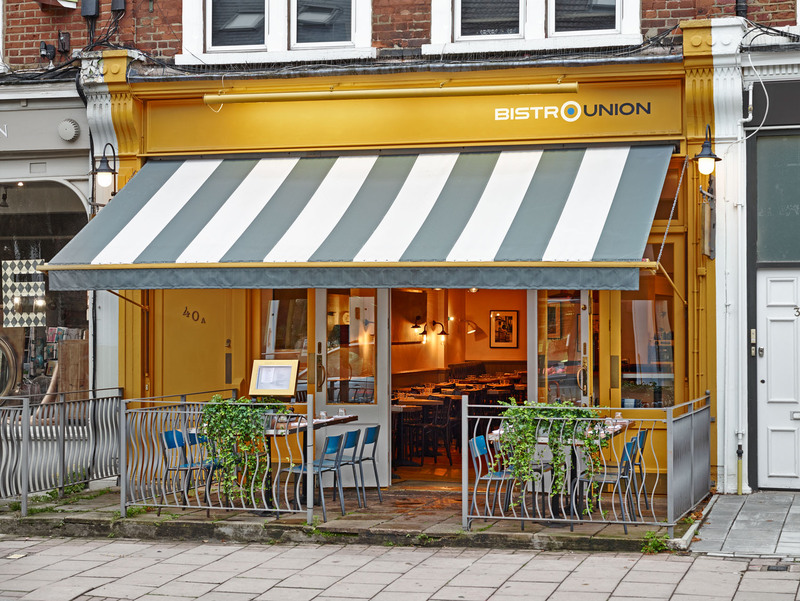 It’s sister restaurant Bistro Union is a quintessentially British Neighbourhood Bistro, located in the heart of Abbeville Village. Look out for a review coming next week of Bistro Union by no less than Chef Byatt’s 12 yr old son Jack! High chairs available? Yes at Bistro Union – No at Trinity. Extras? Sunday Supper Club at Bistro Union – a new set menu each week designed for the table to share. 3 Courses for £26, Bring your own wine, and children under 10 eat free! Club Offer Available – Trinity only. Members receive a complimentary seasonal bellini when having lunch Tuesday to Friday. Click here for details. 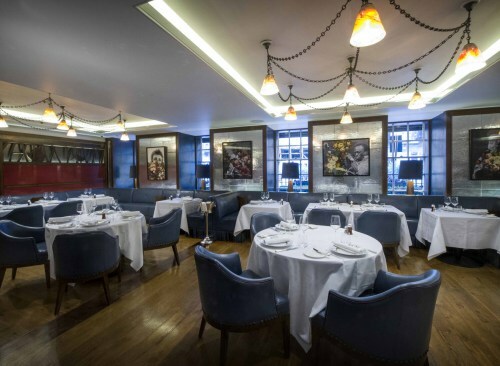 Corrigan’s Mayfair redefines the concept of quintessential British cuisine. Fusing seasonal produce with Richard’s unmistakable flair, it offers some of the most refreshing dishes to whet London’s appetite in a very long time. Club offer available: Members and their guests receive a complimentary carafe of wine when having lunch Sunday to Friday. Click here for more details. Named after the 1950’s dialling code for Marylebone, Hunter 486 is a cosy little restaurant/diner in this contemporary five-star boutique hotel, The Arch London. The bar and dining rooms run into each other with high-sided circular leather booths and secluded areas, some of which can be curtained off for added privacy. It’s low-lit, well upholstered, quiet, and service is professional and discreet. Club offer available: Members receive 20% reduction of the food bill when having lunch Monday to Sunday. Click here for more details. 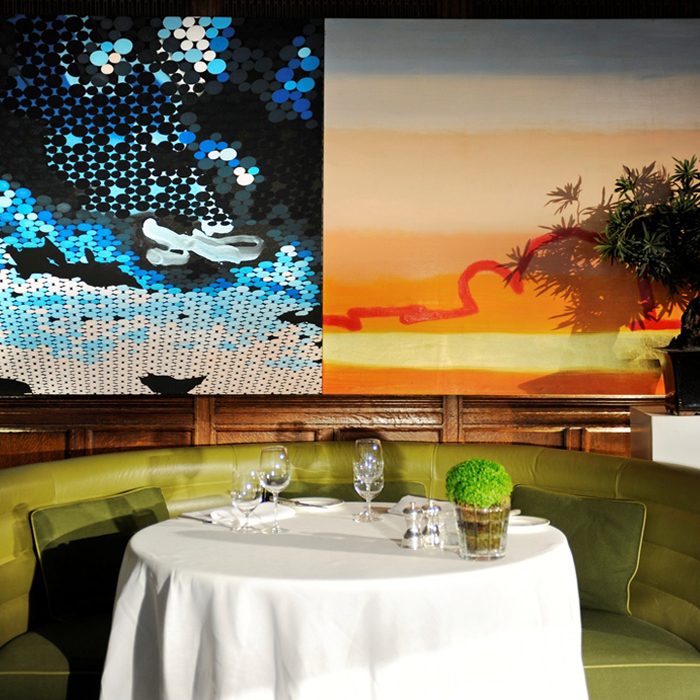 This wood-panelled restaurant with colourful banquettes has an amazing collection of artwork by leading British artists, including Tracey Emin, Michael Landy, John Rankin, Fiona Rae, Tim Noble and Sue Webster and a small cocktail bar adds to the lively atmosphere. 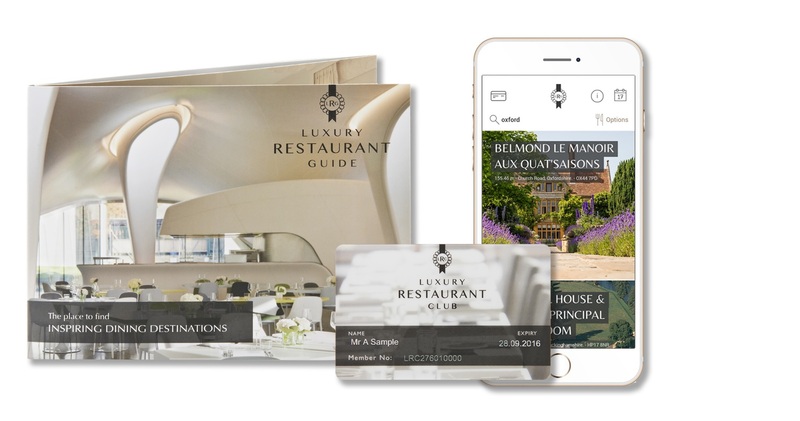 Club offer available: Members and their guest receive a complimentary ‘Hix Fix’ Cocktail when having lunch or diner Monday to Sunday. Click here for details. This is the grande dame of French brasseries. 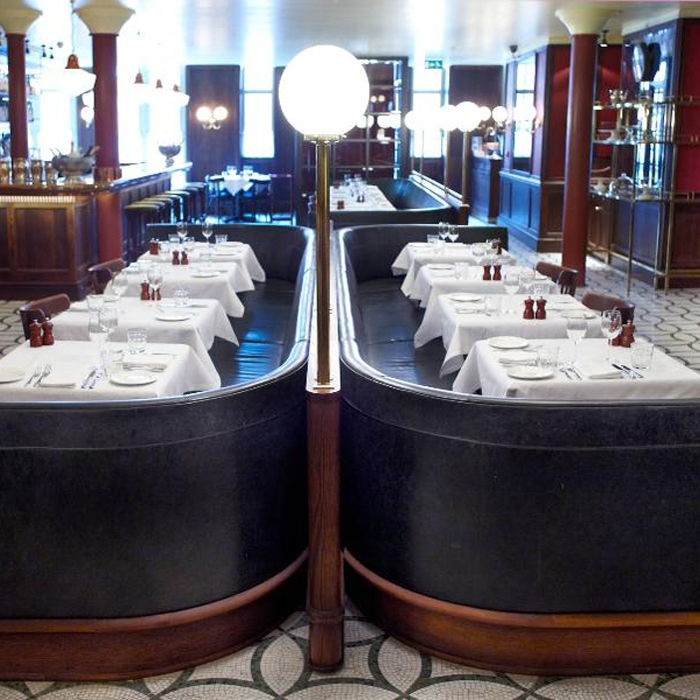 Set over two spacious floors with dark green leather banquettes, mosaic marbled floors, aged mirrors and globe lighting. An historic bistro keeping up old traditions. Extras? On weekends from 9am to midday free breakfast is offered to children under five – two children for every adult dining and at the weekend and during school holidays, a free meal for children under six, all day, until bedtime (up to two children for every one adult dining, selection from the children’s menu). Club Offer Available: Members receive a 10% reduction from the total food bill when having dinner Monday to Friday. Click here for details. 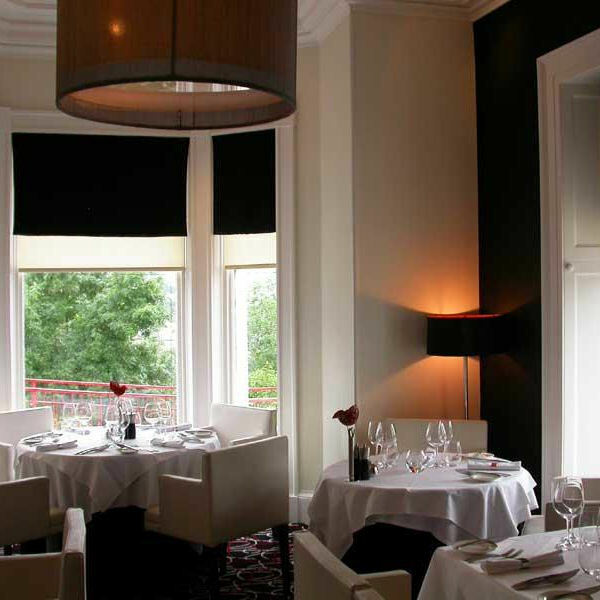 Inverness’ ultra chic and multi award winning boutique hotel in the heart of the city with Albert Roux’s first Chez Roux opened in Scotland. The hotel is the city’s only five star property and is renowned for its discreet sophisticated style and unfeasibly fabulous cooking. Club Offer Available: Members receive a 15% reduction from total food and beverage bill when having lunch Monday to Sunday and dinner Sunday to Thursday. Click here for more details. 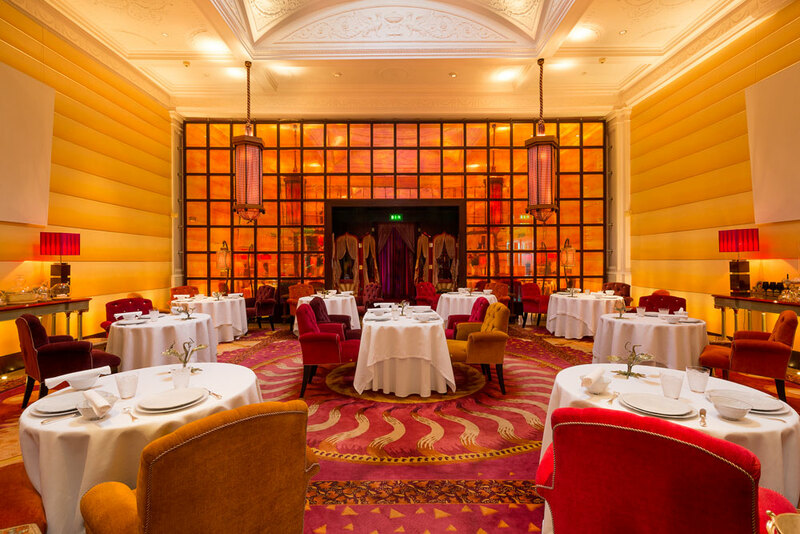 Raymand Blanc’s legendary restaurant needs no introduction, renowned for offering one of Britain’s finest gastronomic experiences. 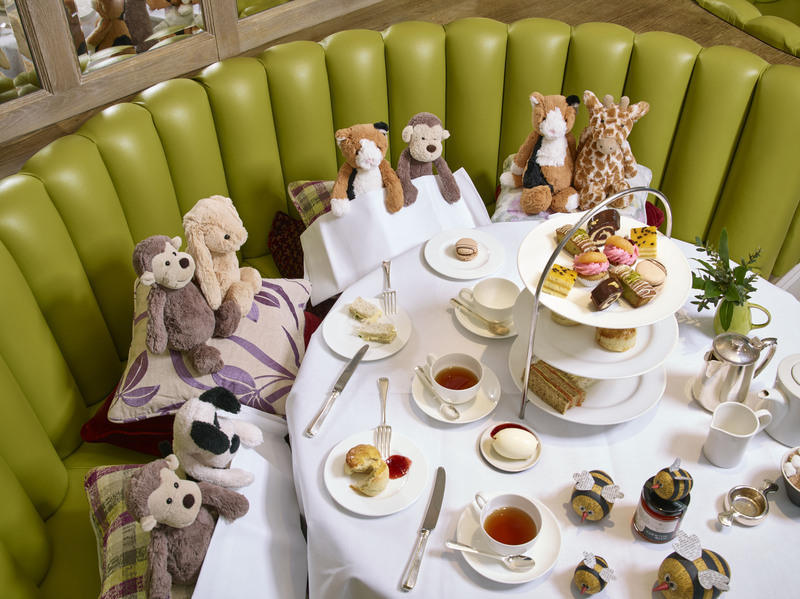 What a way to introduce your children to the best possible dining the UK has to offer! Extras? A selection of seasonal organic vegetable purées is offered for babies – and if your child selects the ice cream or sorbets for dessert he/she is then offered to be taken into the kitchen to hand select their favours! Club Offer Available: Members receive a 10% reduction from the food bill when having lunch or dinner Monday to Friday. Click here for more details. 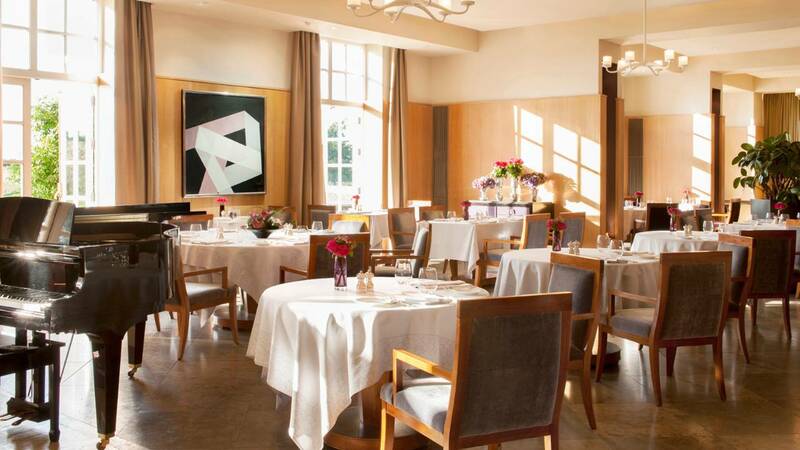 Seasons restaurant is ultra modern and sophisticated with all the trappings of an elegant country house estate. Windows overlook the 500 acre estate – and they have their own Labrador, Oliver. Club Offer Available: Member dines complimentary when dining with one or more guests when having breakfast Monday to Friday or Dinner Tuesday to Friday. Click here for more details. 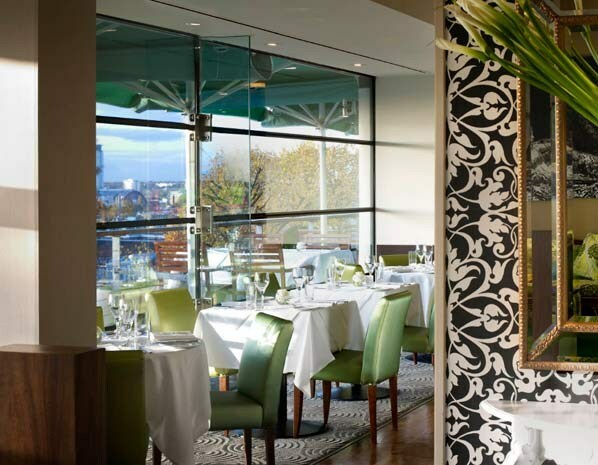 Club Offer Available: Members dine complimentary in André Garrett Restaurant for dinner Sunday to Thursday and lunch Monday to Thursday and receive 10% reduction from total bill in The Astor Grill Lunch Monday to Thursday and dinner Sunday to Thursday. Click here for more details. 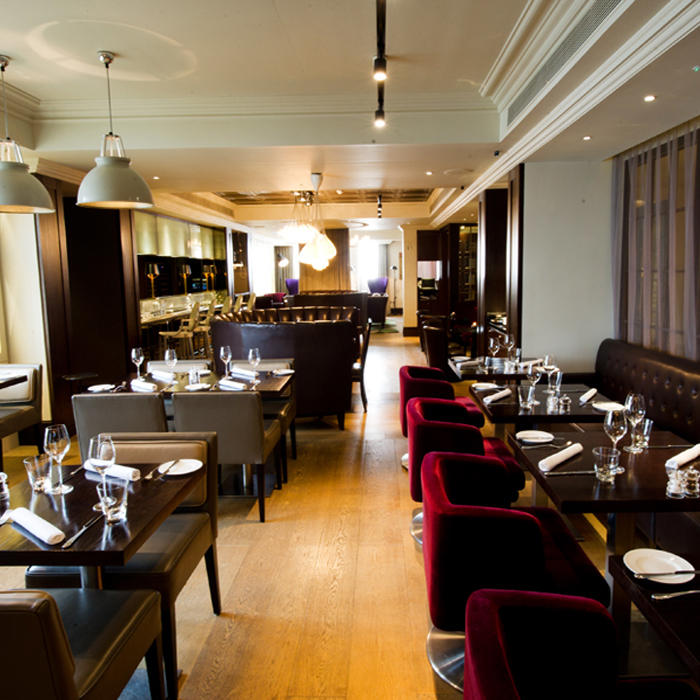 The Dining Room is a truly cosmopolitan and quintessentially English restaurant. Offering a nexus of beautiful conservatories, intimate dining spaces and a stunning open wine room, The Dining Room is as formal or relaxed as the mood takes you. Club Offer Available: Members receive 10% off all food and beverage in Restaurant, Lounge, Bar and Terrace when having lunch or dinner all week. Click here for more details. Extremely useful list. Thank you to the author!